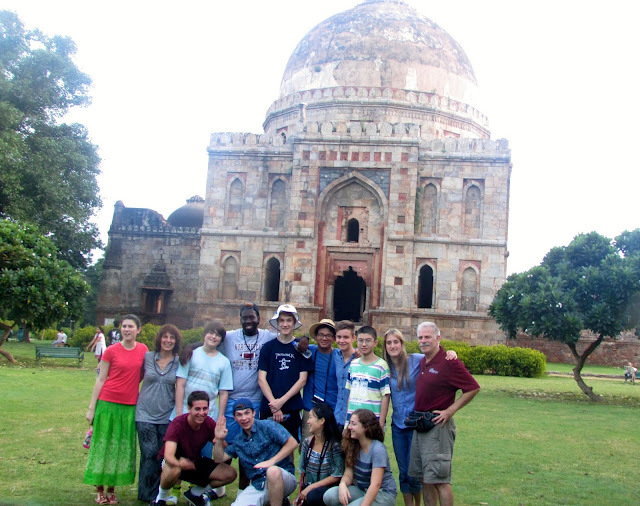 We spent our first day in India enjoying some of the amazing sights in Delhi, including the beautiful Lodi Gardens, home of four 15th century Mogul tombs, a famous Sikh temple that feeds more than 20,000 people per day, the Gandhi memorial, the India Gate and an exciting market place where we tried out our bargaining skills. Considering the long plane ride and the intense heat, everyone is doing really well and having a great time. We're off to the orphanage on an early train tomorrow and we can't wait to meet the children. Hope you enjoy the pictures! 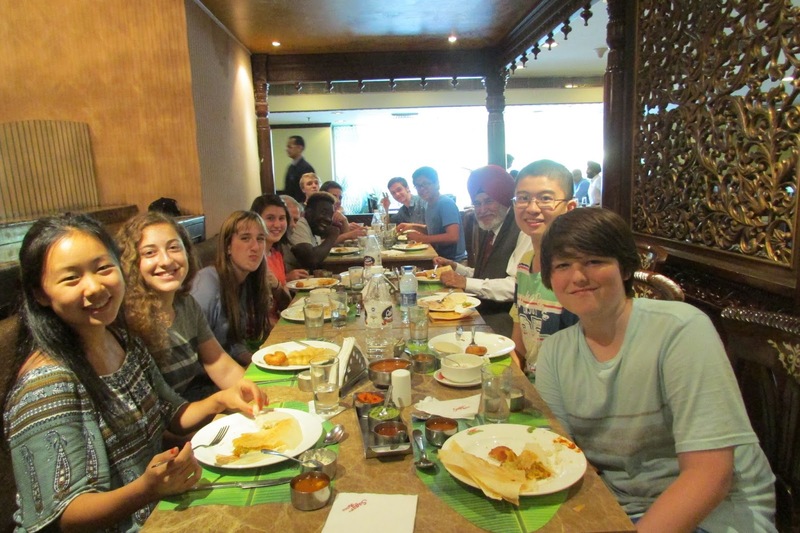 The group enjoys their first Indian breakfast! 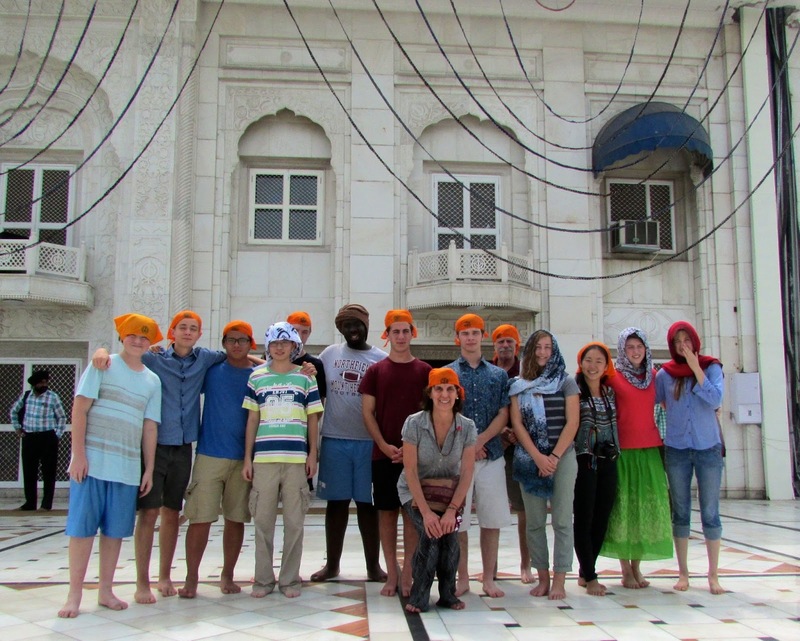 In front of the Sikh Temple. What a great group! Enjoy your experiences!